The world lost a writing legend in 2011, when author Robert Jordan - born James Oliver Rigney, Jr. - passed away from amyloidosis, midway through penning the final volume of his decades-long The Wheel of Time series. While the story was eventually finished by Brandon Sanderson it was a bittersweet thing, especially since Jordan did not to live to see the end of his magnum opus. Whatever The Wheel of Time's flaws - and believe me, there are a few - it was still a formative series for me when I was beginning to get into reading fantasy doorstoppers. I first read The Eye of the World at the age of 13; though the beginning was a slog, I eventually grew to love the world of Rand, Mat, Perrin, Egwene and all the others. It's the kind of narrative that has stayed with me even as I've explored the likes of Sanderson, Joe Abercrombie, Patrick Rothfuss and others who've built upon what Jordan started. Even though I tapered off the series a little towards the end - especially with the damnable Crossroads of Twilight, which redefined Purple Prose and padding - I still look back on my time with the Wheel with fondness, and not a little bit of sadness at Jordan's abrupt passing. With that in mind, reading this Companion was, similarly, a bittersweet experience. It reminded me, once again, that for all the twisted directions and aimless plot threads Jordan may have introduced later in his run, he still made a remarkable, fleshed out world that rivals the likes of master writers like Tolkien, Moorcock and even Jordna's successor himself, Brandon Sanderson. There's not an awful lot I can say about The Wheel of Time Companion, other than the fact that it is thorough. This is the most compendious, studious work of collecting facts about the Wheel's world ever to be published. Seriously, it's large enough that you could probably use a few hundred of them to build a decently-sized shed. They've really cut no corners here, folks. 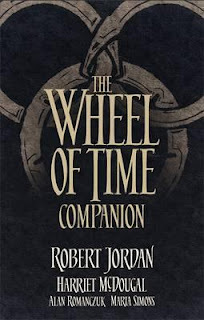 The book supplants The World of Robert Jordan's the Wheel of Time, another companion-like reference book published in 1997 that was, until now, the last word on filling in the Wheel's backstory through appendices. The Companion delves into characters, locations, items, languages, history and events with commendable dedication, with particular praise aimed at a multi-page written and visual breakdown of the logistics of the Last Battle from A Memory of Light. The book is structured like a dictionary, using alphabetical entries that make it a much lengthier version of the glossaries found at the ends of other Wheel of Time books. Be warned, however, that characters have pretty much their entire life stories detailed in each entry of the Companion, so spoilers abound for those not caught up with the end of the story. It is abundantly clear, given how richly detailed the Companion is, that those who followed up on Jordan's legacy here did so with love and care. His wife and editor, Harriet McDougal, has been instrumental in continuing the series following her husband's death, so it's only fitting that she, along with Alan Romanczuk and Maria Simons, is here to put the definitive capstone on The Wheel of Time. 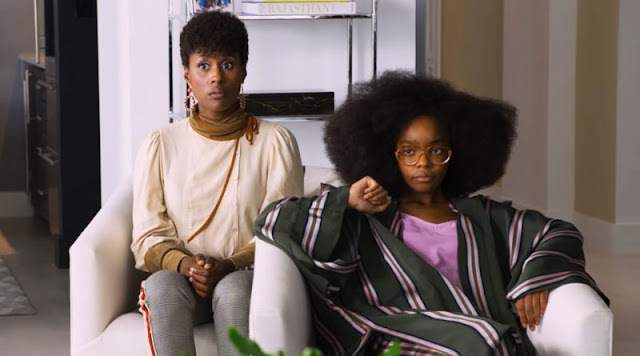 This is as much an informational text for the series as it is a love letter for the fans who stuck with the story for twenty-three years of history. If, like me, it's been a while since you remembered the Forsaken, or what balefire does, or who ends up claiming the Lion Throne, or whether that minor character showed up six books after their debut, then The Wheel of Time Companion will almost certainly make you want to go read the whole thing once again (an urge made difficult to resist given how pretty those new covers are). However wistful or nostalgic you may get after reading it, it's undeniable that The Wheel of Time Companion is the most painstakingly meticulous account of the Dragon Reborn ever put to page. It also looks really, really pretty on a bookshelf. The Wheel of Time Companion is available in bookstores now.